Recognising the vital role of sport in facilitating human development, the programme provides opportunities for youth to develop and enhance their sports skills for recreation, growth and economic advantage. 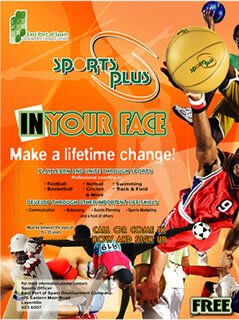 You can find out more about Sports PLUS by downloading the brochure. If you need to apply, download this PDF form, fill it out and return it to our offices.